Almost Sunrise is a story of resilience and recovery. A feature-length documentary, the film follows two Iraq veterans, Tom Voss and Anthony Anderson, as they struggle with depression upon returning home from military service . 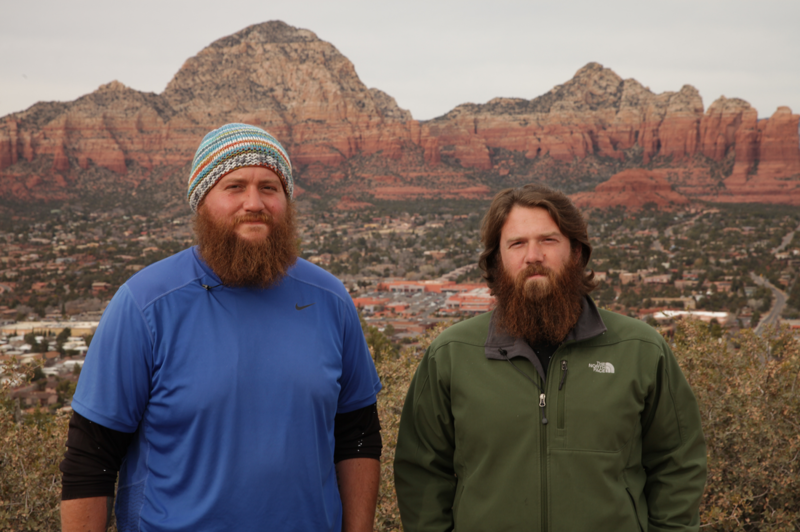 Fearful of succumbing to the epidemic of veteran suicide, they both seek a lifeline and embark on a 2,700-mile walk across America as a way to confront their inner pain. The film captures an intimate portrait of two friends suffering from the unseen wounds of war as they discover an unlikely treatment: the restorative power of silence and meditation. A cinematic experience that juxtaposes the internal struggles of its characters against the wide-open spaces of America’s heartland, Almost Sunrise is also the first film to explore “moral injury:” the profound shame that many veterans feel when their experiences of war violate their moral beliefs, and a possible critical factor in veteran suicide. Anthony Anderson served 6 years in the infantry including two torus of duty in support of Operation Iraqi Freedom. While there, Anderson participated in several actions ranging from combat patrols to humanitarian missions. After leaving the military, Anderson began working with Veterans as a peer mentor assisting Veterans with the host of issues that impact reintegrating into post-service life. Anthony and his wife, Holly, live with their daughter, Madeline, in Wisconsin. Anderson continues to be a mentor for Veterans seeking healthy, peer-to-peer help dealing with PTSD. Tom served on active duty in the United States Army for three years, from 2003 to 2006. Tom served with the 3rd Battalion, 21st Infantry Regiment, an element of the 1st Brigade, 25th Infantry Division. October 2004 Tom was deployed to Mosul, Iraq to support Operation Iraqi Freedom. While in Iraq, Tom was proud to participate in hundreds of combat missions, convoys, security patrols, raids, area clearance operations, and humanitarian relief operations including providing security for the first democratic elections Iraq since the invasion. Currently, Tom serves as the National Veteran Liaison for Project Welcome Home Troops, a program of the International Association for Human Values, a 501(c)(3) nonprofit. Tom travels around the country giving intro talks, organizing, and assisting in teaching the Power Breath Meditation Workshop for veterans, their families, and active duty military.